♦Installation: Fits behind rear seat. Permanent removal of jack kit, rear seat belt cover and rear carpet is required. Power window motor will need to be removed during installation. ** Will fit Platinum, XL, XLT, FX4, Lariat, Harley Davidson, Badlander, 60 anniversary, King Ranch and Cabela’s edition models. Will fit a F350/450/550 Dually. 12” opening available for an up-charge – Shallow Mounts only. 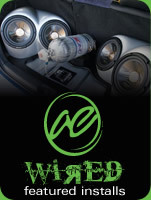 "Single 10” ported FSD130PC10 is clearly louder than the sealed 2-10 version and sounds GREAT inside the vehicle."